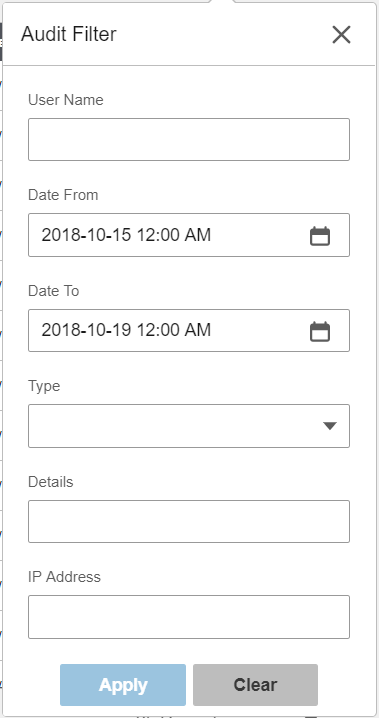 I have a filter that allows the user to specify a date/time from/to within one field. The field has a popup calendar that enables date selection and right below the calendar, still in the same pop up, the user has some time selection as well. 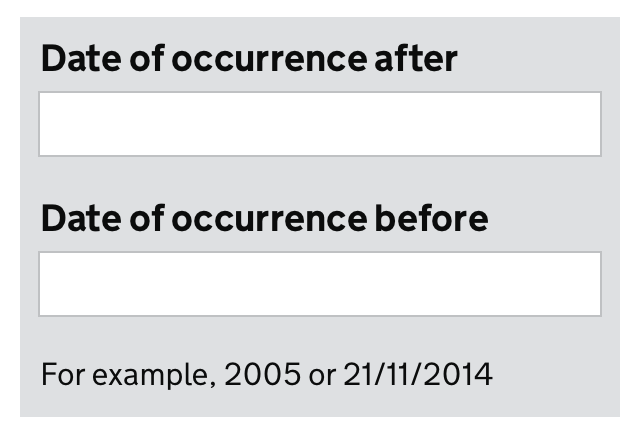 For the label for this field, I'm not sure whether to call it "Date From" and "Date To" or "Time From" and "Time To". I supposed there is also the option to have both "Date/Time From" and "Date/Time To" but I'm not sure if that is as clean. Why mention date or time at all in the title? From and To should be sufficient when combined with showing the little calendar icon. Definitely Date / Time From and Date / Time To, because otherwise user could forget to enter one of the two. Or separate it completely, if possible. here's a pattern GDS recommend. It allows flexible date selection e.g. just year or exact date. With the year only entry a calendar control would require more work from the user. Edit: GDS are the Uk Governments Digital Service and everything they do has gone through user testing. This pattern has no submit function. It's an on-return function. Not the answer you're looking for? Browse other questions tagged labels calendar datetimepicker or ask your own question. On date select field, should the weekday be displayed after selection ? Would it be better to show a calendar picker by default instead of an input field with pop-up date picker? Date input: with or without “calendar button”?